To successfully purchase a home today, you will need a down payment of at least 3.5 percent of the purchase price. Gone are the days of no down payment alternatives, down payment assistance and seller-offered programs to come up with the money needed to buy a home. 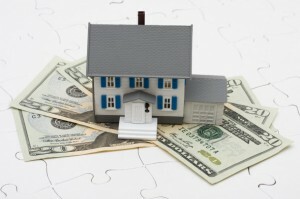 Instead, let’s look at the five ways you can come up with a down payment to seal the deal. 1. Gift Money: Gift money is simply that — a gift from family or documented close relationship. The giftor needs to provide a gift letter and paper trail for the monies they are gifting for the benefit of the buyer. In other words, they’ll have to provide a bank account showing that they had the ability to gift the money. In short, gift monies cannot be funds sitting at home in a safe. 3. Sale of a Good: Believe it or not, you can sell your recreational vehicle and use the net proceeds from the transaction as your down payment. Let’s say that you decide to sell your motorcycle for $10,000. You’ll need to provide the full bill of sale — as well as the bank statement depositing those funds, matching the bill of sale — to your mortgage lender. Same goes for any other recreational vehicle, or other item that “makes sense.” The key is as long as it’s plausible and passes the litmus test and you can paper trail the monies from start to finish, you should have no problem using those monies for the house purchase. Do your homework. If you don’t have a down payment for a house, or your down payment is coming from more than one source, make sure that you talk to a lender upfront so they can help you navigate the best way to properly support and document your monies used. Doing this on the front end will save you from wasting time creating and gathering unnecessary paperwork.